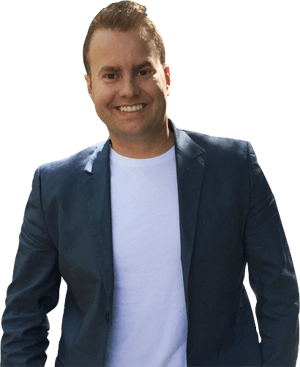 I’m your average guy with an above average passion for growing businesses online. The term "content marketing" means different things to different people. To me, content marketing is defined as the strategic creation and sharing of online content to achieve specific marketing objectives and business goals. Successful content marketing means communicating effectively, making connections, engaging your audience, inspiring customer action, and providing something of value to your fans or followers. And, let’s not forget about the impact high quality content and a well-implemented strategy can have on your SEO—with Google’s continued algorithm updates, quality content is a first class ticket to the front of the line. Gone are the days of businesses relying on traditional forms of advertising to reach customers. In today’s fast-paced world of instant gratification, consumers have the ability to record and skip TV commercials, flip past print ads, and can easily ignore banners and buttons online. But, how can businesses reach their audience today? In this guide, I will help you develop a better understanding of content marketing in its current state, and teach you how to utilize it to bolster your search ranking and improve your online business overall. It can usually be described as a marketing technique that creates, as well distributes, useful and relevant information to a target audience with the objective of driving profitable customer action. This content could be presented in a number of formats, such as articles, images, audio formats, videos, interactive surveys, or quite possibly a combination of all of these types. The main purpose behind content marketing is to attract and maintain customers by providing content that is both relevant and valuable to them, but with the intention of altering or enhancing their consumer behavior. In other words, content marketing is actually engaging with customers, as opposed to an advertisement which is just trying to sell them a product or service. When customers receive information that enhances their daily lives, they will reward you - not only with their business, but also with their brand loyalty. This ongoing process should be a part of your business marketing plan. Why? Because it’s effective. While the practice has become mainstream with all the digital publishing tools available today, the concept isn’t exactly new. Content marketing’s first major success stories can be traced all the way back to 1895 when John Deere debuted a newsletter to help farmers called The Furrow. Since then, content marketing has been utilized in some form by a number of major brands, including Michelin, Jell-O, Sears, and P&G. More recently, companies like Cisco, Microsoft, and Nike have launched new interactive campaigns that have fully embraced the customer engagement principles that make these strategies so powerful and effective, taking content marketing to a new level of legitimacy in the advertising world lexicon. Is Content Marketing New? Content marketing, as we know it today, is touted as a relatively “new” advertising strategy; however, it’s really just an amalgamation of a handful of other business practices. Content marketing combines traditional advertising, sales, social media, event planning, and branding, combining them into an all-encompassing strategy to help foster customer relationships and deliver business results. With so many different aspects rolled into one, content marketing makes it possible for businesses to streamline their marketing efforts while also helping to create a more unified user experience. While I have mentioned the use of content marketing strategies by major brands, let’s not forget the small business owner can also take advantage of the distribution power of the web to create powerful campaigns that drive eyeballs and potential new customers. The Internet has made it easier than ever to create and share content. This means small businesses can more effectively communicate and engage with their followers or customers. However, there is a catch – because of the low barrier of entry to create and share content, it also means that businesses who fail to properly plan and execute a professional strategy will quickly get left behind. With technology constantly evolving, the rate at which content is created and shared is alarming. Indeed, it is true that anyone with access to a computer and the web can create a company blog, for free, and start typing away. However, creating content for “content’s sake” doesn’t create value. In order to stay relevant in an increasingly competitive marketplace, businesses must develop and implement a robust content marketing strategy that takes advantage of various available channels in unique ways. While the tools available make it easy for us to communicate and distribute our message to potential customers, creating and maintaining that message is more important than ever before. The benefit for a small businesses is technologies like social media create a better opportunity to connect with an interested audience. This gives marketers the ability to share more about their product or service and really tell their story. Businesses need to utilize modern content marketing techniques to connect individually and intimately with their fans and develop long and fruitful relationships. These relationships are not forged over night or by simply slapping an advertisement on a billboard; they have to be fostered over time, through well crafted content, and reinforced consistently. Content marketing is not a one-time effort, and those who have the ability to create an endless stream of this engagement are the brands who will ultimately reap its rewards. Every successful business owner will tell you that a key element to their long-term success is being able to connect with their audience. Understanding how this is done on an emotional level is the highest prize in marketing. This not achieved by bombarding an audience with TV or print advertisements, but rather strategically educating or entertaining them, consistently, until your brand equates to a positive feeling for them over time. Successful content marketers will tell you that establishing this connection with an audience at the right time and place is equally important, and is one of the true awesome opportunities social media provides. By engaging with an audience and becoming a trusted source of information, you now open the door to communicate with them with an actual offer to purchase a product or service exactly when they are in “buy now” mode. This process also empowers the customer. They get to support a brand they have grown to adore, which makes their purchase a much more powerful one by creating a feeling of individuality; instead of purchasing a product everyone has seen (and probably owns), the customer who was “wooed” by engaging content and has become brand loyal. They will feel more “special” because of their educated decision-making and will likely become a customer for life. Thus, the long-term ROI for implementing successful content marketing strategies is one any business should be hoping to achieve. Content marketing will help accomplish this goal, but there are also many other immediate and short-term benefits of utilizing content marketing. Word-of-Mouth Recommendations—In 2013, market researcher Nielsen released a report comparing consumer trust in advertising today to 2007. What was interesting about this report is that consumer trust increased in both online advertising and traditional outlets like TV and radio. For example, online banner ads trust skyrocketed from 26% to 42%. However, the most influential factor in establishing trust was word-of-mouth recommendations. In fact, 84% of people surveyed stated word-of-mouth is the most important determination in establishing trust with a brand. Since content is considered a form of word-ofmouth marketing, a successful content marketing campaign is exactly the direction you want your brand to go to create discussion and recommendations about your products and services. Quality Lead Generation — According to Marketing Sherpa, content marketing has the ability to convert 29 percent more organic traffic into high quality sales leads. This means targeted content marketing will drive high value customers – creating that awesome long-term ROI I mentioned before. High value customers are those who become repeat customers, as well as those who purchase more, and also become your brand advocates in the process, continuing the cycle of word-ofmouth and creating new customers in the long run. Creating Smarter Consumers — With technology constantly at our fingertips, consumer behaviour has radically changed. In fact, it’s changed in only a matter of years. For example, only around one-third of consumers had smartphones in 2011. During this time, users searched roughly 7.9 sources of information before finalizing a purchase decision. However, by 2014, over half of consumers owned a smart phone. This resulted in consumers seeking out 10.4 sources of information before making a purchase. With content marketing, you can create content consumers can use to educate themselves. The more they learn about your business, the more likely they are to make a purchase. Establishes Authority — One of the best ways to earn the trust of potential customers is to establish yourself as a brand leader and expert in your field or industry. When you generate quality and useful content, you’re illustrating to visitors that you should be taken seriously. While this may take some time to develop, it will benefit your content marketing strategy in the long run. The moment a brand crosses the into becoming a well-respected and established authority in their industry is game-changing. Persuade Consumer's Decision Making — One of the appealing factors of content marketing is that brands aren’t really selling a product or service. Instead, they are providing an engaging source of material that gives consumers information. Why is this important? A survey conducted by Roper Public Affairs discovered that 80% of business decision makers prefer getting their information through articles rather than advertisements. Furthermore, 60% of decision makers claimed that content marketing helped them make better purchasing decisions. It all comes back to educating your user base and empowering them to learn as much about your business and industry as possible. Content Marketing Assists in Native Advertising — One of the most effective ways content can reach its target audience is for it to be distributed as seeded content. This is done by utilizing paid advertising products for something called native advertising. Native advertising is a trending topic and is establishing itself as the replacement for banner advertising. It’s also one of the most misunderstood concepts you find in marketing meetings! Native advertising is simply content that is placed in a newsfeed on a social media outlet or published on relevant partner websites as a “suggested post” - this can either be a short description and link to content hosted elsewhere or can be the full content itself. For example, Dell paid for an ad in The New York Times that resembled a typical New York Times article, as opposed to a generic ad (something more and more consumers are ignoring). Chances are if it looks like an ad, people are going to completely skip over it. The native ad approach takes the content marketing blueprint and wraps it into a more formal sales pitch for an idea. Native advertising should be engaging, authentic, inspiring, and educational, just as with all of your content marketing material. It should also relate to the interests and values of your audience. Effective native ads will drive new traffic back to your content marketing inventory and the cycle of engagement begins. Strong ROI — Since content marketing is intended to be a long-term strategy, the investment will remain relevant for the long haul. When compared to a very expensive paid advertising campaign that may last for a limited amount of time, the content you’ve created will continue to be shared and discussed for years. Basically, content marketing is free brand exposure. Studies have proven that per dollar, content marketing produces three times more leads than SEM and cost 30% less. Once an article is published, you may put effort (both paid and organic) into increasing its exposure. 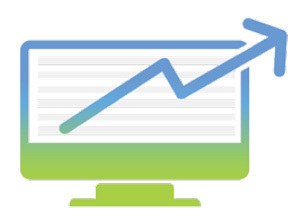 This short-term boost drives initial traffic that you calculate a ROI on. However, after that initial push is over, the article is still there. It continues to “do its job” every day for as long as it is there. When you take all of this into consideration, you can see how it changes the ROI of your efforts and ad spend. The Social Media Effect — This buzzword is thrown around quite often these days, and at its core social media is just a tool in a much larger content marketing strategy, so when people are talk about a social media strategy, they should also be talking about their content marketing plan. After all, what’s the point of having people visit and interact with your social media profiles when there’s nothing to share or discuss? When creating content marketing materials, you should have social sharing and engagement planned out. In fact, social media user behavior needs to be priority when creating content streams and strategy. Social media can also assist in gaining positive word-of-mouth feedback and constructing a fan/ advocate community. For example, consider the possibilities of the hashtag. It’s an incredible tool for indexing and starting conversations with consumers. Content is the tool that educates and turns users into customers, and social media is the tool they use to share this with their circles and becomes influencers of the community. “Youtility” — The content you’re producing or sharing should be informative, helpful, or entertaining to your target audience, so it won’t be perceived as an annoying sales pitch. In order to achieve this though, you must first establish a connection between your brand and your audience. Place the customer first by helping them, not just selling them a product or service. This tactic has been named ‘Youtility’ by marketing thought leader Jay Baer. This establishes trust between you and the consumer, which in time, can create repeat customers and even brand advocates. Consistently providing value through content is the fundamental step in establishing a rapport with a user. Too many brand don’t understand their strategies must focus on the user and not call as much attention to their product or service. Build a bond first, and you’ll reap the rewards of those efforts later. Being at the Right Place at the Right Time — If you are producing and sharing timely content on a regular basis, you have a better chance of connecting with people at the right time. Again, establishing that connection and building a community is one of the main purposes of content marketing. But what does timing have to with it? A lot. What would people be more likely to search for— cassettes, CDs, or digital recordings? Most likely anything digital. So, why would you invest resources in creating content that dealt with cassettes when people are discussing the future of audio? That’s just one example of how content plays a huge role in the consumer purchase cycle. Consider how mobile users now use technology to find additional information about products. When Apple announces a new iPhone, the viewer then goes online to find additional information. If you’re a resource for Apple products and publish content regarding this news, you now have an opportunity to educate the consumer further, and expose them to Applerelated products or services. concepts you find in marketing meetings! Native advertising is simply content that is placed in a newsfeed on a social media outlet or published on relevant partner websites as a “suggested post” - this can either be a short description and link to content hosted elsewhere or can be the full content itself. For example, Dell paid for an ad in The New York Times that resembled a typical New York Times article, as opposed to a generic ad (something more and more consumers are ignoring). Chances are if it looks like an ad, people are going to completely skip over it. The native ad approach takes the content marketing blueprint and wraps it into a more formal sales pitch for an idea. Native advertising should be engaging, authentic, inspiring, and educational, just as with all of your content marketing material. It should also relate to the interests and values of your audience. Effective native ads will drive new traffic back to your content marketing inventory and the cycle of engagement begins. One of the main reasons for creating this guide was to teach you more about content marketing, successful practices, and why content is vital to your search ranking. People may try to convince you that your content marketing campaign is competing with search engine optimization. However, that couldn’t be further from the truth. Both content marketing and SEO are important to your overall online marketing strategy. Think of them as milk and cookies—both can be enjoyable on their own, but when together, it’s an unbeatable combination. Content marketing and SEO are intrinsically linked, and even more so as Google continues to make additions and alterations to its search ranking algorithm. It’s important to remember that Google’s chief aim is to help users find exactly what they’re looking for and as quickly as possible. Google is on a constant search for great content that provides value to their users, and it rewards sites that create and share high quality content. For example, Google now takes social sharing and link buzz into account, which essentially determines how engaging and shareable your content is. Google heavily favors content that is relevant to its users, so this should be a main focus of your content creation process. Ultimately, consistently creating amazing content helps your site rank in search engines, but in order to get good results, you need to optimize your content to suit your objectives. Businesses or websites that are looking to improve their search rankings should start by creating and sharing content that they know their audience will absolutely love and will want to share. 1. Only share quality content – don’t waste your time with spammy nonsense. 2. Don’t give up that quality for quantity - again it’s all about building value. 3. Engage with your audience in comments and on social media. 4. Keep the sales pitches out of your informative content –let the customer come to you. 5. Make sure to document your research through linking. 6. Know you stuff – don’t make up stuff out of thin air. 8. Never copy or plagiarize a competitor’s work –make yours fresh and better than theirs. 9. Cater your content to your target audience and to their specific needs. 10. Never keyword stuff your articles – write your content for people AND search engines. Content marketing is a multi-faceted endeavor, and as such, running a successful campaign requires a well-thought out approach and a strategic execution of your plan. Many layers go into a great content marketing campaign, and in order to get the most out of your efforts, you must pay close attention to each and every detail so you are able to make appropriate adjustments along the way. In this section, I will break down the different aspects of a successful content marketing campaign and coach you through the process of setting up your own. There are a lot of marketers who, before they even get started, approach content marketing from the wrong perspective. Many marketers seem to believe “if you build it they will come”, but with so much noise and competition online, that’s simply not the case anymore. You can’t expect people to just stumble onto your content or site and forge a meaningful relationship with your brand. Thus, the all-important first step of creating a great campaign is to outline your business objectives and to think of the best possible ways to accomplish them. Whether you’re looking for more Facebook “likes,” trying to drive more traffic, or wanting to generate more conversions, you need to understand what types of content will be effective in accomplishing your goals. Never start creating content until you have a clear idea of what you intend on accomplishing with it and an outline of how to do so. Creating content for the sake of content is an exercise in futility. You’re wasting your time because only a few people are likely to see it, and even fewer will engage with it. However, if you’re creating content with a purpose and have well-defined goals that you want to achieve, you’re much more likely to succeed. Being able to implement and develop a professional and effective content marketing strategy is very difficult to take on alone. In order to penetrate the various social media channels that are going to drive in traffic (and eventually create your brandloyal customer base), you’re going to need to assemble a team of writers, editors, and designers in order to create the best content to take your content marketing efforts to the next level. Obviously the budget you have will determine the size of your team and quality of professionals you will be able to hire in order to get your content strategy off the ground. Smaller budgets will obviously be limited in the types of content they can create. Before you begin searching for help, you’re going to want to ask yourself how much you personally can write in a given period of time, and if you have an existing team of experts and professionals you will need to figure out a productive way to get consistent content created. Quality is more important than quantity, so if your team can only gets a few articles or blog posts completed in a month, then that’s the baseline you start with. 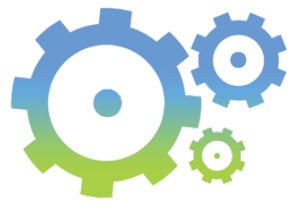 In time your process will become more efficient and your production will increase. Again, depending on the size of your budget, you’ll want to hire additional help in the writing department so you can create consistent content for your audience. Obviously, you will be able to find lower quality writing at an affordable rate using websites like Craigslist and Odesk. While you may find writers who can work on the cheap (and this may be a good strategy to start with), it will require additional work on your end to make sure the content these freelance writers create is up to par with the value your audience is seeking. Seasoned writers and content providers will cost more money, but also add an additional level of value to the message are creating. Even larger budgets and partnerships will allow for infographic or video content creation. Just remember, the higher the level of quality you bring to your content, the more receptive your audience will be, and the more successful your content marketing efforts will be. Every business has their own needs and every content marketing team is developed accordingly. However, once your content marketing team is in place and your discovery and editorial processes are in motion, your content machine will become a very valuable asset to your business and brand. It’s very important to understand that assembling this content team is one of the most important things to helping you get your content marketing campaigns off the ground and ready for the long haul! If outlining your business objectives is the first step in creating a successful content strategy, then understanding and catering to your audience is a very important second step in the process. Content marketing is all about creating a shared experience—one that’s fun, informative, and/or entertaining to your followers. In order to create that exciting and engaging experience, you need to know exactly what your audience is into and the types of content that they are most likely to interact with. The best way to do this is to use tools and analytics data to identify your audience and create a clearer picture of their preferences, interests, online behaviors, and purchase patterns. Once you have gathered various data points, you need to think critically about the ways in which you can cater to them. For example, if you’re a blogger that writes about movies, you can review the latest box office smash and tell your readers why they should or shouldn’t go see that movie. After posting your article, you could create a cool graphic or a funny meme that’s relevant to the movie and share it on your Facebook, Twitter, Instagram, and other social media channels. If your audience is truly interested in that movie and your take on it, then they are more likely to spread your content to their networks and further your brand awareness. The third and final step in developing your content marketing strategy is the actual content creation and sharing process itself. That’s right, the content is the last piece of the puzzle, and you shouldn’t be concerned with it until you have properly laid out your goals and identified and studied your target audience. In order to see success with content marketing, it’s essential to figure out who you’re talking to and why you’re creating that content in the first place. Approach content marketing the way that you would approach meeting a new person— know that in order to form a real bond with them, you must bring something of value to the table. Your ultimate goal should be to give your audience something that interests them, entertains them, provides answers to their questions or solutions to their problems. Content marketing should be rooted in a greater purpose and driven by the needs of your target audience. A great place to start when you’re getting ready to create new content is to look around and identify the types of content that are working for similar businesses, especially your competitors. New technologies and Internet trends are constantly popping up and evolving, so the type of content that works today might not work tomorrow. It’s important to do some self-evaluation as well. Take a detailed look at the types of content you’ve already put out and pay attention to which ones have been most successful. By doing both of these things, you should have a good grasp on the type of content you’ll want to create, and a great start down your path to success. Once you have done your research and developed your ideas, it’s time to start thinking about design and the actual type of content you want or need. Will you create a YouTube video? Will a blog post be the best option? Can curating other peoples’ content work for you, or do you need to step outside of the box entirely and come up with something that’s never been done before? There are many different ways to create and share content, and it can be overwhelming if you’re new to content marketing. The key is to focus on creating content for a specific channel that is targeted for your specific audience and objectives. Keep in mind, though, that different types of content yield different results. For example, text-based content is quick and easy to produce and often works well on networks like LinkedIn and Twitter. Video content, on the other hand, takes much more time to produce and is more difficult to share, however, video often yields the deepest engagement and greatest ROI. These are all things that you need to think about before you start creating and sharing content. Creating engaging content is critical to your success and should be a top priority. You should strive to create things that will achieve your business objectives that you have set forth. In this section we’ll take a look at how to build a campaign that does just that, and help you answer the burning question, “What should I make content about?” When it comes to content marketing, the most effective thing that you can do is simply expand upon what’s working. Essentially, you should take the things that have been successful for your business in the past and highlight them. After you’ve gone through and taken an analytical look at the content that’s been successful for you, you should have a better understanding of what will work best for your brand. Finding your strong suit and rolling with it will not only make it easier for you to create content, but it will ensure that you are always putting your best foot forward. To identify what types of content works best for you, you should review your website’s analytics and look at the pieces that have generated the most traffic, leads, sales, or other desirable metrics. Look at the topics that have generated the most interest and engagement from your audience and try to center your new efforts on creating similar pieces. Building additional content around these popular topics will not only have a significant impact on your overall user experience, but it will also give your SEO a noticeable boost. Becoming an expert or a respected source for specific types of content is one of the best ways to improve your search ranking. Search engines view sites that have multiple pages of in-depth coverage on a particular topic as more valuable because they present users with a greater chance of finding the information that they're looking for. Search engines look for “content clusters” on websites to determine their relevance to a specific search query. Sites that have lots of quality content focused on a single subject are likely to rank higher. For sites covering multiple topics, it’s important to organize based on themes, main subjects, or terms, otherwise known as “siloing,” to help increase your ranking. Organizing related elements of your website into “silos” of information helps search engines recognize related content, and can be easily done in your main navigation. Another popular (and often successful) strategy is creating content around a keyword or keyword phrase that has shown high levels of engagement on your site. If you know that a certain keyword draws a lot of traffic to your site, then you should focus your efforts on creating more content around that term. This will help you reinforce your relevance and boost your search ranking for that particular term. This should hopefully lead to more traffic and monetization opportunities for your efforts. Having a blog is a necessity for content marketing. If you want to be taken seriously in the digital marketing space, you have to maintain a blog and keep your followers coming back to your site for more. This is an obvious truth for online publishers and bloggers, but many big brands neglect their blogs or lack them altogether. According to a 2013 HubSpot report, 79% of companies with a blog experienced a positive ROI for inbound marketing, compared to just 20% of companies without a blog. Clearly there’s a big discrepancy between those numbers that serves as an obvious indicator of the importance of a blog. In 2014, a brand’s blog should be the front line of their content marketing strategy. It’s their own customizable domain to share relevant information, tell their story, and provide followers with great branded content. Essentially, a business’s blog is where the content marketing journey starts. As the critical foundation for your content marketing endeavors, you should take the time to focus on the design and layout of your blog and ensure that all of the existing content is of the highest quality possible. Your blog will serve as the single most important place for your content strategy, and as such, it should provide an unbeatable user experience. While having a great blog of your own will be a cornerstone of your content marketing strategy, it doesn’t mean that you have to limit yourself to creating and sharing information solely on your blog. In fact, it’s equally important to try and contribute to other related sites in order to get your brand and your message in front of your target audience. Having your brand appear on neutral publications will help build your fan base and legitimize your business while also helping to establish your reputation as an expert in your niche. When your followers and potential customers recognize your brand on other sites, it helps them build trust and reinforces your company’s relationship with them as consumers. On the other hand, guest blogging serves as a great opportunity to evangelize your company to new audience members and gives you a new platform to further share your story. Running your own blog requires a lot of time, effort, and resources. As such, you should look at your blog as an investment. One of the best ways to ensure that you get a return on your investment is to focus on optimizing your blog and your content for search. Ultimately, your search ranking will help you generate more organic traffic, reach a larger audience, and bring in extra revenue. 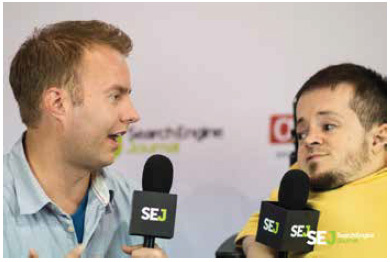 So what are some tips for getting your content noticed by search engines? First, you should spend a lot of time crafting the headlines of your articles. When it comes to content marketing, having a catchy headline is more than half the battle. In fact, most content creators spend more time coming up with headlines than they do on the body of content itself—it’s that important! 1. Be Concise — Internet users want to be able to gather as much information with as little effort and in as short amount of time as possible. Thus, your headlines need to be short and to the point. Typically, headlines with 8 words or less perform best. 2.Use Numbers — Starting your headline with a number tells readers exactly what they can expect to find inside and tends to attract more attention as a result. Titles such as “10 Expert SEO Tips” or “5 Unbelievable Marketing Videos” will garner more clicks and help your content be recognized by search engines. 3. Offer Benefits — Use words that promise some sort of benefit to your readers. For example, the phrase “How to” typically gets a great response because it quickly indicates to your readers that they can learn something new from your piece. 4. Optimize for Search — This may seem like a no-brainer, but you should try to include your keyword or keyword phrase in your headline. Search engines will look at the title of your article to determine its relevance to a search query, so it’s important that you include the term or subject of your article in the title. Use tools to learn what people are searching for and find a way to include that specific term in your headline. 5. Tease Your Readers — Titles that are mysterious or play to the curiosity of your audience will also perform well. The key to this type of headline is to write something short that hints at what makes the article helpful, controversial, interesting, or funny. Don’t give all of the information of your article away in the title; rather, make readers click to find out. Writing catchy headlines plays a huge part in the success of your content strategy, but so does your subject matter. Real content marketing success is the result of combining a great topic with high quality content, a great headline, and then getting creative with how you share it with your audience. 1. Choose Timeless Topics — Just like there are timeless songs that we all know and love regardless of their age, there are timeless topics that no matter what year it is, people will still be interested in them. Some great examples are celebrities, technology, food, and entertainment. Finding ways to tie timeless elements into your articles will help extend their shelf life and their relevance to your readers over time. 2. Expand On Your Previous Posts — A great way to keep your momentum moving forward is to study your previous posts, find out which ones performed best, and then build on those topics. This is an effective strategy for targeting your audience and nurturing a new content cluster, which search engines will view as being authoritative. 3. Update Older Posts — You don’t always have to create and share brand-new content. Extend the life of your existing posts by updating the most popular posts from your archives. Take a look at your analytics, find some posts that have performed well in the past, and give them a modern makeover. Don’t rewrite your posts, as that could have damaging effects on your SEO. Simply give them a bit of an update so that they are relevant to your new audience members. 4. Stay On Top Of Trends — Blog posts are inherently short-lived and generally news-y, which is why it’s a great idea to stay atop trends and cover topics in your niche that are popular at the moment. These types of posts can be quickly created and shared, and result in quick and easy spikes in traffic, which will boost your search ranking. As public interest grows in a trending topic, there’s often a short period of time where marketers can create related content and ride the wave of popularity. You can expand the reach of your brand by sharing timely posts or developing entire campaigns around trending topics. Your blog gives you total control over your brand’s image and should act as the foundation for all of your content marketing efforts. Your brand identity and voice should be strongest on your blog because after all, it’s your home turf. The most important thing to remember is that this is where your content marketing strategy will start, so you need to take the time to optimize it, both in terms of design and content. Understanding who your audience is and what they’re interested is a big part of creating a blog and content that will be successful. We briefly mentioned the effectiveness of guest blogging in the section above, but in this segment we‘ll explore different ways you can use guest blogging to reach new audiences and strengthen your content marketing strategy. Guest blogging is great for a number of reasons, but arguably the biggest advantage it offers is the ability to reach new audiences and tap into new networks. Not only does guest blogging help get your content in front of new viewers, but it’s also an effective way to meet other professionals in your vertical and build relationships with bloggers in your space. Inviting others to write for your blog is a useful tactic for leveraging your existing relationships as well as expanding your reach to an audience outside of your own network. As a blogger or a brand you should always be looking to make new connections and build relationships online, whether it’s with like-minded professionals or prospective customers. A great way to network with bloggers and consumers alike is to reach out to bloggers with relevant, but varied networks and offer them the opportunity to write for your audience. Guest blogging can have some great benefits on your site, both in terms of SEO and business relationships, however, it’s important to understand that if you don’t approach guest blogging from the right perspective, it can do more harm than good. So, in order to help you get the most out of your guest blogging efforts and to cultivate great working relationships with bloggers in your niche, we’ve compiled this short list of tips to guide you along the way. 1. Understand What Search Engines Want — Guest blogging will only be beneficial to your SEO strategy if you understand exactly what the search engines are looking for and cater to those things. According to Matt Cutts and Google’s search quality team, things like subject matter, keyword density, originality, and moderation factor into your search ranking when it comes to guest blogging. Search engines want to see that you’re writing content on relevant topics, and that backlinks aren’t stuffed full of keywords. Furthermore, search engines want to see that you’re creating unique content that is valuable to readers and that you aren’t gaming the system by guest blogging too frequently. 2. Forge Blogging Partnerships — One of the best ways to capitalize on the powers of guest blogging is to forge partnerships with other bloggers in your space and trade content with them. A great way to make lasting relationships with other bloggers is to brainstorm new topics together, create content that’s appropriate for their site, and thank them for the opportunity. Guest blogging is a mutually beneficial relationship because it not only gets your name in front of a new crowd, but it also adds value to your colleague’s site by bringing in a fresh and respected new voice. Once you’ve shared content with another blogger, ask them if they would be interested in doing the same and try to set up some sort of routine. This will help both sites grow and strengthen your SEO all at once! 3. Invite People to Contribute — Guest blogging doesn’t have to mean working exclusively with people you know. In fact, one of the best ways to bring in a more diverse audience is to publicly invite people to contribute to your site. No, this doesn’t mean that everybody who asks to write will get published, however, inviting people to contribute to your site can help you meet new writers and continue to grow your personal blogging network. And best of all, this doesn’t have to be difficult! One great way to go about it is to set up a page on your blog, perhaps titled “Write For Us” or “Contribute” and allow interested writers to contact you via this page. From there you can send an email, share writing samples, and communicate the goals of your blog and decide whether or not you’d like to work together. Again, this can serve as a great way to meet and network with other bloggers in your niche. Conduct Interviews — Interviews can serve as a great forum for getting to know others in your niche and are an easy form of content to produce. Some of the strongest online content comes from simple interviews because it’s not only valuable information that is talked about and shared, but it also helps connect professionals and consumers in a specific niche. Asking others for a written interview takes little time and is almost like extending the olive branch to the interesting people that you want to get to know. Plus, once you have shared their story on your site, you can always ask them to share an interview with you on theirs to introduce yourself to their audience. It’s a win-win situation that can’t get any easier! Creating original content can be time consuming and difficult, and depending on the type of site you’re running, doing it in a certain capacity or volume may actually be unnecessary. That’s where content curation comes into play. As a content curator, you don’t have to be a “go-to expert”; rather, you act as a content aggregater, bringing together the best, most relevant, or interesting content for your followers. 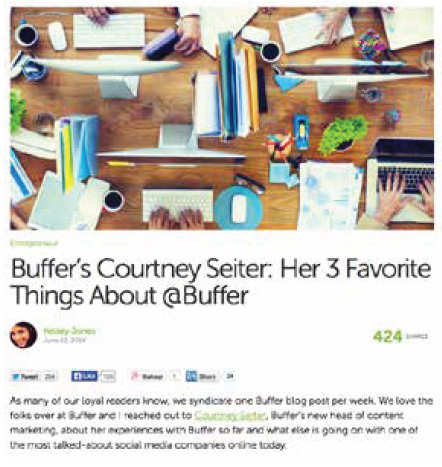 So, what exactly is content curating? Content curation is the process of finding, organizing, contextualizing, and sharing relevant, high quality content with your audience. In the context of content marketing, curation should be done with the objective of collecting and sharing content that will ultimately advance your business, whether that means generating leads, expanding your audience, or becoming a thought leader. Content curation is an undeniable result of the Internet age in which we live. Because information is constantly being shared across multiple online platforms, content curation can actually be a highly successful practice for many businesses that don’t have the experience, skills, or resources to create their own original content. Being a curator alleviates you from the responsibility of having to constantly produce your own original content, and instead, enables you to share only the best digital content with your followers. As a content curator, you can use other blogger’s content to spark conversation and engagement amongst your fans. 1. Building Relationships — Content marketing campaigns should always be focused on building relationships, be it with other bloggers, potential customers, or regular readers, and content curation is no different. Content curation can help you enhance your relationships with the press or blogging partners, as you’re helping them spread their content to a larger audience. This kind of relationship can help get your blog or website noticed by larger publications, or at the very least encourage those sites to share your original content in the future. Think of it as a “you scratch my back, I’ll scratch yours” arrangement where you can both benefit from collaborating and sharing each other’s work. 2. Become an Information Destination — Curating quality content can be an incredibly effective way to generate loads of traffic for your blog or website. Being a destination site for niche content can help you establish a reputation as a great resource in your field, and even help you become a thought leader in your vertical. And, if you take the extra step to add your own short commentary, you can help improve your SEO. This can lead to more traffic from organic search and help you achieve your overall business objectives. It’s important to understand that people at all levels read blogs and use social media on a daily basis, so becoming an information destination where people find their daily content is a powerful role to take on. 3. Do Less Work and Have More Impact — Another advantage of content curation is that it requires less time and fewer resources, but it can have an equal, if not more significant, impact on your audience than creating your own original content. Why? Because content curation allows you to handpick the most relevant, interesting, and familiar pieces of content and share them with your audience. This allows you to share things that are valuable and/or trending, and are more likely to generate clicks and traffic. Why would you spend a bunch of time and money creating your own content when you could get better results sharing others’ content? As long as you spend the time to find and share content that is relevant and high quality, content curation can be successful at saving your money and generating more traffic. Curating content enables you to highlight the best stuff from around the web while also providing a number of other benefits to your website in terms of SEO, traffic, and engagement. However, in order to reap the rewards that can come with content curation, you have to do it right and you have to do it well. Search engine guidelines, ethics, and the interests of your audience will all factor into what “quality content curation” means for your brand, and it’s vitally important to understand the effect of these different factors. The ultimate goal of your content curation strategy should be to provide your audience with interesting and valuable content that will serve your overall business objectives. 1. Curate to Your Blog — Your blog is the ideal place to start curating content. It’s the perfect platform for you to aggregate the best content from around the Internet and post it under your brand name. The key, however, is to find and share content that is targeted and specific to your audience and serves your overarching business objectives. Try to narrow the focus of your content or subject matter. This will help make your work easier to manage and also help you establish laser-focused expertise on a particular topic. Moreover, sharing narrowly focused content will make it easier for people and search engines to find your site, which should translate to a higher search ranking and more traffic. Tips for Curating Content Curating content enables you to highlight the best stuff from around the web while also providing a number of other benefits to your website in terms of SEO, traffic, and engagement. However, in order to reap the rewards that can come with content curation, you have to do it right and you have to do it well. Search engine guidelines, ethics, and the interests of your audience will all factor into what “quality content curation” means for your brand, and it’s vitally important to understand the effect of these different factors. The ultimate goal of your content curation strategy should be to provide your audience with interesting and valuable content that will serve your overall business objectives. Here are some tips for curating content: You want search engines to perceive your site as a thought leader and an expert in your field, and curating a lot of hyper-specific content will help them pinpoint you as the most relevant resource for your vertical, and ultimately, send you more traffic. 2. Collect Content That Teaches — People search the Internet for quick answers to their questions and/or easy solutions to their problems, so curating content that teaches them how to do things or provides them with helpful information is one of the best ways to approach content curation. Find “how to” articles or content that offer tips for accomplishing certain tasks that your audience is interested in and share them on your various channels. 3. Curate User-Generated Content — One of the easiest and most effective ways to get your audience more involved with your brand or website is through the use of user-generated content. If you have engaged users that are sharing questions or information on your blog or social channels, you can curate their contributions into a post. This is a great opportunity to interact with your fans while also helping you create quick and easy content. One great way to assemble some interesting user-generated content is to brainstorm a topic that your followers would be interested in and ask for their opinions or reactions via the comments section on your blog, in a Tweet, or on a Facebook status. Once you’ve had some responses trickle in you can gather some of the most interesting ones, curate them into a post, and share the results with your fans. This type of content is a great way to involve your followers in your brand and not have to devote too much time, energy, or resources to creating original content. 4. Curate a 360-degree Perspective — One of the biggest advantages of being a content curator is that you get to use other people’s content to tell a balanced and unbiased story. You aren’t limited to any one viewpoint, opinion, or perspective, and you can be somewhat ambiguous when it comes to sharing your own personal viewpoints. This often works best when there is a controversial or trending topic in your niche that people are interested in and are talking about. For example, if you’re in the health and beauty space and there is a brand new diet craze out on the market, you can curate various types of content to inform people without taking a particular stance. Naturally, people are going to be interested in learning about this new diet and the benefits it claims to have, but there will probably also be people who claim that it’s not all that it’s cracked up to be. As a content curator, you can pull together both sides of the argument and present unbiased information to your audience so that they can educate themselves and make their own decisions. 4. Curate a 360 - degree Perspective—One of the biggest advantages of being a content curator is that you get to use other people’s content to tell a balanced and unbiased story. You aren’t limited to any one viewpoint, opinion, or perspective, and you can be somewhat ambiguous when it comes to sharing your own personal viewpoints. This often works best when there is a controversial or trending topic in your niche that people are interested in and are talking about. For example, if you’re in the health and beauty space and there is a brand new diet craze out on the market, you can curate various types of content to inform people without taking a particular stance. Naturally, people are going to be interested in learning about this new diet and the benefits it claims to have, but there will probably also be people who claim that it’s not all that it’s cracked up to be. As a content curator, you can pull together both sides of the argument and present unbiased information to your audience so that they can educate themselves and make their own decisions. Ultimately, auto-generating links or duplicating content will earn you search engine penalties and end up costing you readers rather than helping you gain more. It’s worth your while to hand pick content that’s relevant to your readers and add value via your own commentary and analysis if you want to see SEO benefits. 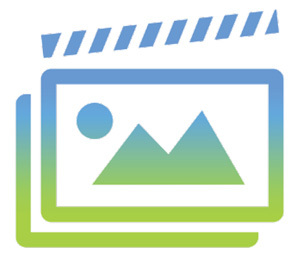 Photos and videos are a staple of any good content strategy. These types of visual content tend to create much more excitement and engagement with your audience, making them a powerful marketing tool for your brand. Videos, for example, are arguably the most personal form of interaction between you and your followers outside of being in the same room with them. However, with video being such a powerful tool for connecting with your followers, it’s crucial that your video production, as well as its content, is of the highest possible quality. A video is powerful because it’s visual, and its impact will be proportional to the quality of its appearance. Humans are naturally social creatures and we gravitate towards things that we’re familiar with. We’re hardwired to relate to objects that we can see, hear, and recognize, which is why visual content is such a powerful tool for marketers. Both photo and video content enable your audience to put a face to a name, which makes it easier for them to get to know you and your brand better. This fosters a much more personal and much deeper connection than any text-based content could ever dream of. Plus, visual content just works better for certain things. For example, you can describe a movie by writing a review, but a movie poster, a video trailer, or a snippet of the film itself are almost guaranteed to drum up more interest, excitement, and engagement. Visual content is often much more effective than text because it’s more entertaining, it requires less of your audience, and it has more emotional impact. 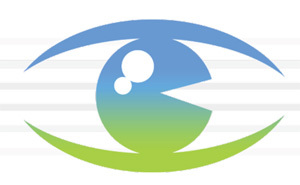 Why Invest in Visual Content? 1. Personality — In comparison to text-based content, visual content, especially video, allows you to better express your brand’s personality and show your audience who you truly are. 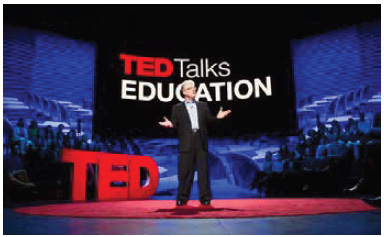 Important attributes like sentiment, earnestness, body language, and intonation are conveyed much easier, much clearer, and much more effectively in photos and videos than in text. This can help your fans relate to you in a stronger way and build a deeper connection to your brand. 2. Shareability — Photos and videos are undoubtedly the most shared type of content on the Internet, and for good reason—they’re entertaining and easily accessible. Major social sites like Facebook have enabled videos to play in users’ feeds instantaneously and keep visual content in the news feed exponentially longer than text because people are more likely to click on and share photos and videos. Furthermore, Google has started to show YouTube content in search rankings as well, along with sites that contain lots of relevant visual content. In fact, Google has demonstrated that it’s beginning to shift its focus to using social indicators such as shares and likes to indicate value and relevance. Thus, highly engaging visual content will have a bigger impact on your SEO moving forward. 3. Multi-Sensory Communication — The reason that visual content is so successful is because of its ability to create a multi-sensory experience. This helps build a stronger connection with your audience and encourages them to interact with your brand. Flashy videos draw eyeballs, but quality information that involves sounds and action keep people entertained and invested. Visual content allows you to present information in a more creative way than text, making it more appealing to your audience. 4. Syndication — With great visual content, you give yourself a better opportunity to have your content shared by curators and other content marketers. There are a lot of outlets online where your visual content can be shared, so investing in creating unique and interesting visual content can help get your content, your message, and your brand in front of a larger audience. 5. Novelty — It’s pretty easy these days to set up a blog and share your written opinion, but creating and sharing high quality visual content takes much more time, effort, and resources. It involves more work and experience, and as a result, there’s noticeably less competition than in the blogosphere. Thus, creating your own visual content is a great way to separate yourself from your competitors. 6. SEO — Last, and arguably the most important reason to invest in visual content is the benefit that it will have on your SEO. We briefly talked about it earlier, but it’s important to explain, in detail, exactly why great visual content is worth every penny. As we know, Google wants users to get from point A to point B as effortlessly as possible, and find the most relevant and valuable content at the end of the process. Google does this by analyzing the content on sites and determining what content is relevant and valuable to specific search queries. With their latest algorithm update, Google has started using social share metrics as a benchmark for determining a site’s value. Sites that receive more social likes and shares often receive a boost in their search ranking, so getting content to go “viral” on social media can help take your page to the top of Google and other search engines. Facebook is already placing more emphasis on photos and video content, allowing them to stay in users’ feeds longer than regular statuses, which plays right into Google’s focus on similar types of content. So ultimately, if you want to get to the top of Google, it’s important to invest in and create high quality, original visual content and get it to go viral on social networks. Hopefully now you have a better understanding of why visual content is so important to your content marketing strategy and how it can boost your site’s search ranking. Now, we’ll take a more in-depth look at how to target your video content for search and how you can get the most out of your investment. 1. Quality Matters — Quality, content, and engagement matter to search engines! You shouldn’t expect to benefit from video content if it doesn’t benefit your audience. It’s important to remember that people are your target market, and that the search engine’s main goal is to provide value to people. Both YouTube and Google look at how users interact with your videos and use that data to gauge community interest, brand authority, relevance, and ultimately your search ranking. So, earning likes and comments isn’t just about building a loyal following, it also influences your SEO results. If your goal is to find your brand or blog atop Google’s search results, you need to focus on the quality of your video and create content that inspires real engagement. 2. Keywords Are Important — Just like any other type of content, video optimization starts with keyword research. You need to know what your target market is looking for, what they’re interested in, and how they’re searching for it. Then, you need to create content that answers those specific queries. When you’re doing your keyword research it’s important to remember that informational videos will typically generate better engagement and search rankings than other types of videos, especially ones that are focused on product placement or hard sells. 3. Keyword Location is Also Key — If you want Google to find your videos you need to put your keywords where Google can find them. Search spiders can’t watch your video, so they determine the relevance of your content based on the words that are in the video’s transcript, Meta information, captions, surrounding text, and the HTML. So where exactly should you place your keywords? Make sure to use your keyword phrase early on in your titles and descriptions, and even include it in the name of the raw file. It’s also effective to make sure that you verbally say your keyword in your video so that it is noted in the transcript or caption file. Strategically writing a script should make this easy to do as long as you know your keyword or phrase early on in the creation process. It’s important to choose photos carefully and make sure the images you share can be tied in with your business objectives and represent your brand appropriately. When done well, posting branded photos can help put you in front of larger audiences, boost brand loyalty, link people back to your website, and help build long-term relationships. Help people visualize your message. Increase brand awareness by adding your company’s logo or watermark. Show your social side with images from networking events and office parties. Why are you sharing the image? Does it support your overall business objectives? What story are you telling with the image? Is it appropriate/does it support your brand identity? Are there people in the photo? Viewers tend to be drawn more to photos that depict other people. Is the photo easy to share with easily accessible social share buttons? Will people be inspired to share it with their own networks? These are all important things to think about before selecting a photo for your campaign and you should take the time to ensure that each image is promoting your brand in a positive way. 1. Share Quality Photos - Just like videos, not every photo is created equally and you need to take the time to find and share the best quality photos you can. Keep in mind that if you depict someone or something in a positive light that they’re likely to share it and put your content in front on their network, helping extend your reach. Always make sure that your photos are clear and representative of your brand. 2. Be Timely — As a marketer, you should constantly follow trends and share the most current content, and that includes your photos. If you’re sharing photos that you’ve taken at an event, make sure to get them up right away while it’s fresh in peoples’ minds. If you’re sharing photos from others, make sure that they’re new and focused on a timely topic. 3. Share Group Photos — A great way to generate more engagement on your photos is to share photos of groups of people, companies, products, etc. When one person is tagged, or one company shares your photo, others are likely to join in and help spread your content further and further. 4. Tag Key People — If you’re interested in gaining more traction on social media, be sure to tag key people in your photos. Whether they’re customers, companies, or key people who are in the photo, tagging people is a great way to draw attention to you content and encourage others to share it. 5. Always Watermark — Sharing images on social networks is great for generating traffic, but if you don’t watermark your images, you could be losing out on quality opportunities for brand exposure. For example, say somebody doesn’t share your photo from your page and it’s not watermarked. Their audience may see your photo but won’t know where it’s from or who shared it originally, costing you a valuable chance to get your brand in front of new potential customers. Anytime you share an original photo or image, make sure to stamp your brand name on it so anybody who comes across it will know where it’s from. Photos and video content are becoming increasingly important on social networks and to search engines. As the Internet continues to evolve, visual content will continue to play an increasingly larger role in our online experience. It’s important that marketers invest in various forms of visual content production and understand the best practices for promoting it across a variety of platforms. 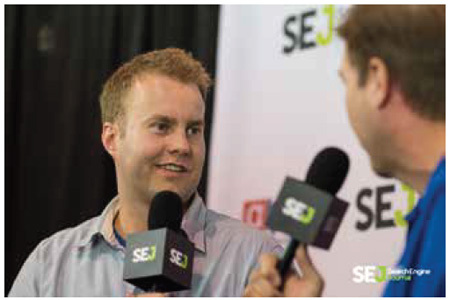 Perhaps one of the most underutilized tactics for content marketing are live events. However, that appears to be changing over the last several years. According to the Content Marketing Institutes content marketing benchmark research, in-person events have been ranked as the most effective content marketing tactic. Furthermore, in the B2B Content Marketing: 2014 Benchmarks, Budgets & Trends, it was found that 74% of B2B companies use in-person events, with 67% saying events are effective. But if marketers realize that events can be a powerful tactic why are they hesitant to use them? One of the main reasons is that hosting an event can be expensive. In fact, it’s probably the most expensive marketing tactic out there. Despite being one of the most effective tactics in content marketing, the cost can make marketers rely more on social media, eNewsletters, blogging, case studies, and videos. Event marketing is a process of developing a themed meeting, exhibit, display, or presentation used to promote a product, service, cause or organization. These events can be participated in, sponsored, or hosted and can occur both online and offline. Marketing events have become so common place that you may not actually take notice of them. 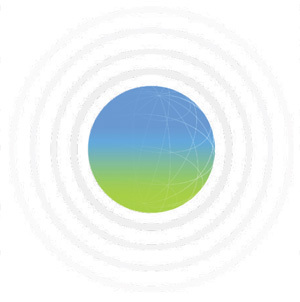 Apple Media Events - Apple creates a lot of buzz when they announce an upcoming event. It’s during these events where the company announces new products, product redesigns and upgrades. Steve Jobs perfected Apple events, as with the iPhone debut, so much that his keynote speeches at events were called Stevenote. Macy’s Thanksgiving Day Parade - Originally developed by Macy’s employees, the parade has become synonymous with Macy’s and attracts millions of viewers in person and on television leading into the busy holiday shopping season. Samsung Surprise Concert - When Samsung unveiled its first-ever 3D LED TV in Times Square back in 2010 the brand had something extra for curious passersby, an impromptu concert by the Black Eyed Peas. The surprise concert created 2.4 billion media impressions. Here’s a question that should sum up the importance of live events: what was more memorable? Attending a concert of your favorite band? Or reading a concert review from a blog? Chances are that actually going to a concert was a better experience than just reading about it. And that’s the power of events. A real-life experience is more effective in creating memories and establishing preferences for customers. In fact, customers are going to remember an event or experience far longer than something they read on a blog or social media post. When you can engage with your customers you’re giving them a long-lasting and powerful impression of your brand. Give your customers the chance to see a product or service in action. Interact with employees and like-minded individuals; nothing doesn’t beat shaking hands and looking people in the eye. Offers the chance to catch a sneak peek of a new product. Makes them feel “taken care of”. 1. Interviews - There are actually two different sets of interviews that you can conduct during an event; industry leaders and customers. Interviews with industry leaders at an event, let’s say at a social media conference like PubCon, can have multiple advantages. For one, it establishes your brand as an authority figure because of your association with an influential person. Also, it gives your blog, website, etc. another voice besides your own. Interviews with customers can give you feedback on the event, such as what they liked or didn’t like. Often, these reactions are entertaining and can help generate more visits to your site since the interviewees will share the interview with others. 2. 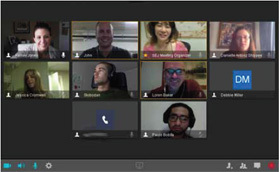 Streaming/Webcasting - With technology you can now reach a wider audience by streaming or webcasting an event. Whether it’s a seminar, unveiling a new product or hosting a concert (see Dave Matthews Band streaming concert at Yahoo! ), you can spread brand awareness further than ever before. Besides reaching a wider audience, streaming or webcasting an event can: reduce costs (less travel, lodging, meals, etc.) while still connecting with your audience – and creating that killer content you’re looking for! 3. Images - As mentioned previously, images are a major part of content marketing. People enjoy viewing and sharing quality images. This is no different for events. It gives people an opportunity to relive the moment, see the individuals behind the brand in a new light and continue and it provides effective content to display on a blog or social media account. For example, you can live tweet images from an event to keep your audience watching elsewhere in the loop. 4. Recap the Event - Finally, you can recap the event. This could be posting a video interview or images. You can share what you learned or what surprised you. It’s a simple technique to share a follow-up with your audience following an event. Live events have the potential to grow and reach your audience. Just remember that events are more than just a sales pitch. It should be integrated into your content strategy so that it can further define your brand, raise brand awareness and connect and interact with your audience - meaning that it should fit within your content marketing mission statement. 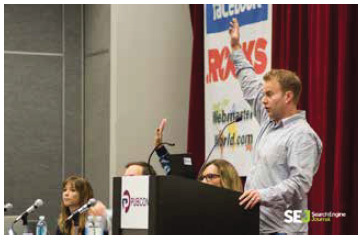 When done correctly, live events can create lasting impressions with your targeted audience. Social media and content marketing go hand in hand. Social networks and their users love high quality content, and content marketers love the exposure social media gives their brand. In 2014, it’s no longer an option to lack a social media presence. It’s imperative that businesses build a strong brand identity on their social pages, be it through curated or original content. Brands must utilize the power of social media to get their content in front of potential customers, expand their reach, and generate more traffic. 1. Interact with Customers — Having an active social media presence allows you to get your brand’s message in front of more potential customers, and -more importantly- keeps you there when the time comes for them to purchase your products or services. Think about how people move through the online buying cycle—there’s often times a large gap between initial awareness and interest, and an actual conversion. By staying active on social media and interacting with your customers, you can close that gap, keep their attention, and encourage them to take the action you want. Furthermore, your ability to interact with customers via social media also gives you the opportunity to strengthen brand loyalty. Marketing is all about building and maintaining positive relationships, and what better way is there than by communicating with your customers in a fun, free, and open environment. Social media makes it easy to have conversations, answer questions, address concerns, and build trust with your customers, helping to cultivate a positive and valuable relationship. 2. Improve Branding — Social media is a place where people go to meet, discuss, and research the things that they’re interested in. It’s important that when they come across your page, they are greeted with a professional looking profile and an overall positive first impression. The first impression that visitors have of your profile will have a lasting impact on how they perceive your brand. A good first impression could lead to a long-term follower, while a bad first impression could turn away potential customers and actually hurt your brand. The best way to use social media to improve your branding is to focus on publishing regular, high quality content and being attentive to customer comments and messages. This will prove to your followers that you are present and that you’re interested in them, and not just their business. 3. Increase Brand Visibility & SEO — Google and other search engines are paying more and more attention to social networks and social indicators such as “likes” and shares when determining the relevance of a brand to a specific search query. In fact, Pinterest boards and Google+ content are currently getting crawled and can actually show up in SERPs when relevant. Thus, having active and engaging content on social networks can help strengthen your SEO and give you more opportunities to have your brand show up in the SERPs. Not only can social media play an influential role in the identity of your brand and reaching new audiences, but it can also have quite an impact on your SEO as well. As we mentioned previously, Google and other search engines are looking to social proof metrics as indicators of a brand’s authority and relevance on specific topics, using those indicators to determine overall search results. 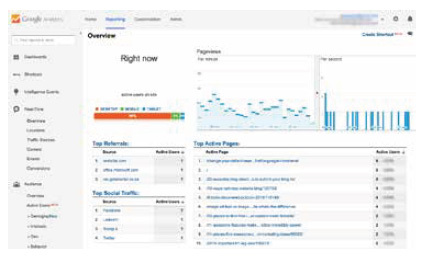 So, what social signals affect SEO? 1. Pinterest Boards — Google regularly crawls a number of social media channels, but it’s hyper-selective when it comes to showing social media content in search results. For example, Google will not return Facebook or Twitter content, but currently shows Pinterest content in its results. So if your target market uses Pinterest, it’s well worth your time to adopt the social network and start creating, sharing, and curating content that’s targeted specifically to them and their interests. You can optimize your Pinterest boards by focusing on the titles and descriptions, and making sure that you include key phrases that your audience might be searching for. 2. Facebook Engagement — When looking at Facebook pages, Google indexes the number of people who like your page, the number of people “talking about” your page, and the number of people who “were here.” Obviously, the higher these numbers, the more likely your page is to get a higher search result because in Google’s eyes, those statistics are indicators that your brand is an authority in your niche. 3. Twitter Links — Google used to show tweets in their search results, but since 2011, links in tweets have become 100% no-follow. So while Twitter may be a great avenue for directly communicating with your followers, it’s not going to help you with your SEO strategy, regardless of how valuable your Twitter content may be. 4. Google+ 1 - Google Plus is more than just a social media platform; it’s also a powerful SEO tool. 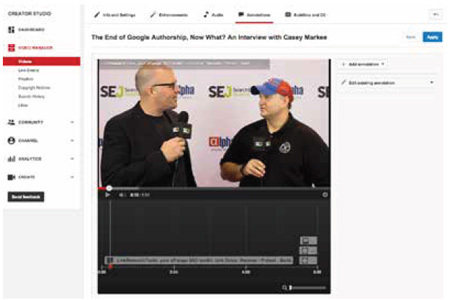 What makes Google+ 1 amazing is that it can generate higher search rankings. Content is crawled and indexed almost immediately since there aren’t privacy issues, like with Facebook. Google+ links also pass link equity and have blog-like features (own URL, character descriptions, gaining internal links). Building a network and promoting great content on Google + has the ability to boost your SEO tactics. 5. LinkedIn Networking - Not only do 91% of marketers use LinkedIn to distribute content, 60% claimed it was the most effective social media tactic. 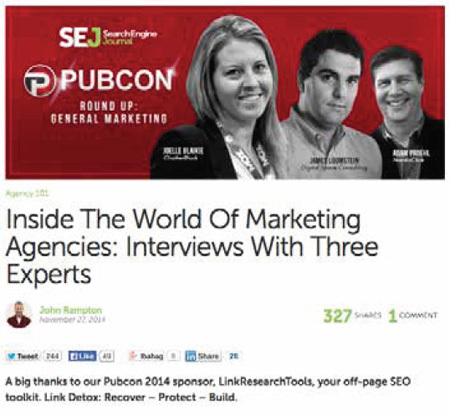 In fact, LinkedIn even launched a Content Marketing Site. However, LinkedIn isn’t necessarily SEO friendly because it incorporates 302 redirects and nofollow syntax in the majority of link references. On the other side, LinkedIn is the best option to make professional business connections and an optimized profile can help your brand rank higher. The final advice we’d like to provide in this guide is by discussing paid, owned and earned media. To optimize traffic and customer growth than you have to be investing in all three channels. These media channels are essential in planning your marketing strategy. And each media channel has to work with each other during the life cycle of customer. But, what is the difference between each channel and how can each one play a role in your content marketing strategy? Print Advertisements: images in both small-scale magazine/newspaper ads to large billboards. Pay Per Click (PPC): banner ads through services like Google AdWords. 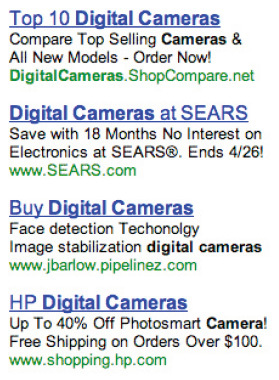 Retargeting: you visit Amazon for shoes and notice ads for those shoes wherever you go online. 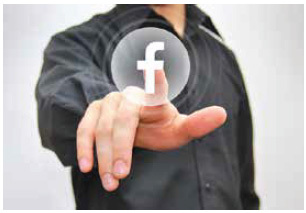 Social Media: Facebook advertising tailored to gender, hobbies, location. Affiliates: earning a commission by promoting another company’s product, you write a review about shoes on Amazon, visitor clicks link to purchase shoes from your site and you get paid. Paid Influencers: Either paying or giving advocates freebies. The benefit of paid content is that it can be seen by mass audiences through multiple channels, such as traditional print to websites. You also have creative control. However, paid content can be expensive and there’s a lot of competition. Make sure you do research and always test. Your money will be better spent if you can find cost-effective channels and mediums that reach your audience the best - StumbleUpon Discovery; Outbrain; Promoted tweets; Reddit Ads; and retargeting on Facebook are all effective and low-cost options. Owned media would be web properties, content or physical items/locations that you have complete control over, since you own them. These include everything from a website, blog, email newsletters and social media platform pages. The content featured on these channels is intended to reach your current community or customer base. It will take time to build these communities and customers, but owned channels are a great way to execute campaigns, promote content and create word of mouth and engagement. Also, remember that links included in your owned media go back to the original source - an infographic shared on Facebook should have a link back to your original blog post that included it. 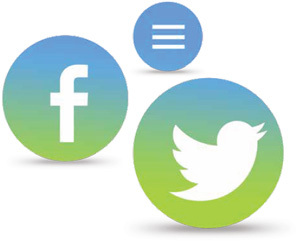 Earned media would consist of social media mentions, shares, posts and reviews. When you hear that something has gone “viral” that means it has earned the attention of your super fans who have spread your content. Earned media also consists of traditional press release placements, placement on aggregator sites (Reddit), or having influential bloggers discuss your content. It’s very valuable, yet difficult to obtain. Because this is a type of word-of-mouth campaign, you should focus on content that is authentic to your brand’s message and not just creating something to get attention. The convergence of these media channels is an ultimate goal in your content marketing campaign. But, how can you successful integrate your paid, owned and earned channels? Discover the types of content that your specific shares or discusses. Discover content can resonate with specific demographics in your community. Discover the best days and times that your community will share, engage with content. Once you have this information, you want to do the following to make this integrated approach payoff. Create both a content creation and paid promotional calendar to schedule and plan your content. Create owned media content that will inspire your community. Share owned content on the social media platforms that reach your community best. Share your content with broadcast, digital and print media. Make sure that you respond in a timely manner to your community. Measure, monitor and analyze reports on how effective your campaign was by using automated systems like HootSuite, Klout, Social Sprout, Topsy and Buffer. In short, the goal here is to be able to attract, engage and convert customers from the journey to brand advocates. One of example of a successful integration campaign was the “OId Spice Man”. Procter Gamble began the campaign on paid media (TV commercial), moved to YouTube - an owned media channel that served as the brand’s microsite - and finally word-of-mouth regarding the clip on social sites gave it an earned media status. While the main focus of this guide is centered upon content marketing and SEO, it’s important not to let your SEO strategy dictate your social media activity too much. You should think of your content marketing, SEO, and social media strategies as three pieces to the same puzzle—without any one of them, the puzzle is incomplete. You should always try to keep the big picture in mind and understand that although social media may not have an overwhelming impact on your search results (at the moment), it is one of the most powerful and effective tools for promoting your content and your brand to larger audiences. Keep in mind that the more people who see and share your content, the more inbound links you’re likely to earn. This will translate to relevance in the eyes of Google and can ultimately lead to better search results. Understanding how social media impacts various aspects of content marketing allows you to prioritize and better strategize your content marketing approach. It’s important to remember why we use social media in the first place—to share quality content and to connect with our community of fans and followers. 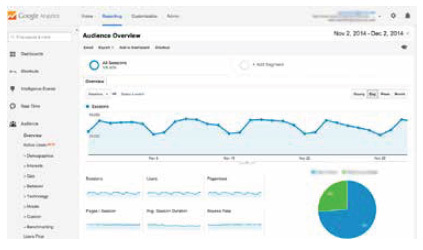 It is very important for your strategy execution that you understand the role analytics can play in how you’ll craft new content ideas as your campaign gets underway and you begin receiving traffic to your website. Understanding how your visitors find and interact with your content will give you a better idea of the types of information they looking for when they arrive at an article, blog post, or other piece of content you have published . For example, if geography plays a role in your business and you find that the content you are creating is being read by people from the other side of the planet, you probably need to figure out why people of a different regions are discovering your content versus those that you were trying to serve . Another example could be that all of your website traffic is coming from 1 referral source. Are you aware of this traffic that it is being referred? What kind of website or source is it? Is there a way for you to create new content to take advantage of this opportunity again and ongoing? 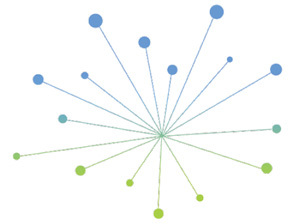 Does the referral traffic that you are receiving fit into your target demographics? The same example can obviously applied to a keyword phrase as well. Let’s say you are receiving traffic for 1 keyword phrase that has nothing to do with your audience or business. This might be exciting at first, the fact that you’re receiving any traffic at all, but ultimately is going to do nothing to help your business in the long run...right? Or perhaps it is a new opportunity for you to craft your brand or marketing message to these visitors? In order to reap the benefits of any traffic it’s good to understand why they arrived at your website’s content and what they did once they got there. Metrics like bounce rate and time on site can give us insight on how long they stay engaged to a page. Heat Mapping takes things even further and shows us WHERE on the page their eyeballs are located. We could discuss additional examples of at great length because of the exhaustive data that is provided in a program like a Google Analytics. The point here is to pay very close attention to the traffic you receiving so that you can have a better understanding of your existing content audience and build strategies around this data in the future. Now that we’ve thoroughly discussed content marketing, you’ve hopefully learned that the practice can and will cover a broad range of areas. It could be a how-to-video, a blog with useful information like an infographic, or inspiring images or a video that simply makes you laugh out loud. As we reach the conclusion of this Content Marketing Guide, we’ve put together a collection of 35 examples from brands who have achieved the above techniques throughout this guide and have been able to successfully develop, create and share incredible, quality content that connects with their customers and brand advocates. John Deere first published its Furrow Magazine in 1895. The magazine was created to be a resource for farmers to share farming techniques and how to run a business. 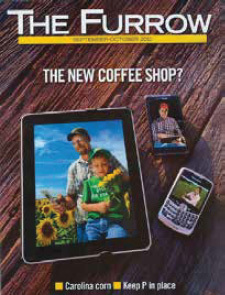 The magazine is still being published today online and content is shared on John Deere’s Facebook and Twitter accounts. For over 100 years the engineering firm Burns & McDonnell have been publishing this award-winning magazine that discusses everything from the latest industry trends to various engineering disciplines. Also known more simply as ZMOT, Google released this in-depth research project that helps marketers develop content that will connect with their audience at the right place and time. Image Source: The Conflict Kitchen/Facebook There’s this really cool, and innovative, restaurant in Pittsburgh that only serves cuisine from countries that the United States is in conflict with. The food wrappers, however, are the real interesting feature. Each wrapper includes interviews from locals who share everything from culture to politics. IBM has been marketing itself as a company that is helping to change the world. 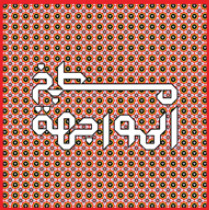 That message was taken to another level in 2010 when the “CityOne” game was launched. It’s basically a version of SimCity where players have to solve real world problems. Originally called Brick Kicks, the LEGO Club Magazine has been sent to subscribers since 1987. The magazine provides tips, competitions, sneak peeks at upcoming projects and upcoming events. Today, the magazine’s online site even shares fun and instructional videos. Shipserve, a B2B e-marketplace in the maritime shipping industry, created a fun LEGO stop-motion video that follows that struggles of Rex. Rex succeeds in overcoming the challenges of the global shipping market thanks to ShipServ. Coca-Cola has hired some four full-time journalists and over 40 freelance writers to create content that consumers will find either entertaining or informative. the content ranges from current events to food to uploading images of customers enjoying a refreshing Coke. When Dollar Shave Club released this humorous video that took-on established heavyweights in the shaving industry it spread like a wildfire. In fact, the video helped secure 12,000 new customers in just two days. This goes to show the importance of content that can go viral. Available in either print or digital, this magazine is geared towards fans of extreme sports and high-flying action. The magazine also has articles focused on pop culture, like summer concert festivals, and interviews with celebrities. This infographic takes a look at how today’s most well-known and respected “messengers” are more than just bloggers or businesspeople. They overlap into multiple media formats and industries. This is the content platform for OpenView Venture Partners designed specifically to help entrepreneurs in the technology field to locate funding. It contains everything from articles, videos, Podcasts, eBooks, reports and infographics as well. Instead of just attempting to sell their product, River Pools & Spa has put together a fun and educational blog for all pool and spa owners. The blog covers everything from maintenance costs to the latest industry trends. The Indium Corporation, which is a materials supplier, uses blogging to exchange and share thoughts with engineers involved in the electronics, semiconductor, solar, thin film, and/or thermal management markets. If you’re teaching others on how to create killer online content, then you probably should practice what you preach. Thankfully, Copyblogger.com does exactly that. The site is packed with articles, eBook, webinar and forums to helps you create top-notch content. 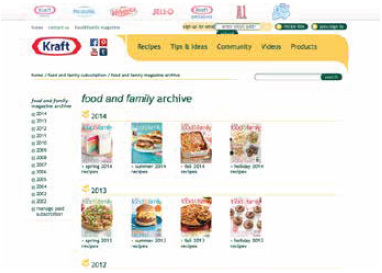 Millions of people have enjoyed this publication from Kraft since it shares recipes, as well as, tips and ideas for entertaining guests, enjoying holidays or cooking with children. The Caterpillar Online Community This bog may not appear to be the fanciest, but it delivers content to the its intended audience effectively. For example, the community is divided into sections so that visitors can easily find the content that most interests or benefits them regarding Caterpillar. Smosh creates funny videos, games, memes, cartoons and articles and has a large presence on YouTube. 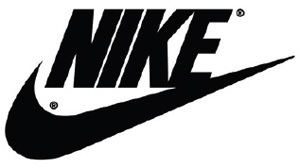 The content is used to sell merchandise specifically created for the website. This was a public service announcement by Metro Train located in Melbourne, Australia. This was a lighthearted look at an otherwise grim subject that paid off. The video and its catchy song went viral and has been viewed over 85 million times on YouTube. To make the home life easier, P&G created this site that features articles on how to improve everything from home decor to cooking recipes. What’s really interesting is that the page also allows visitors to share the content, or write reviews on popular products, with their contacts on social media. 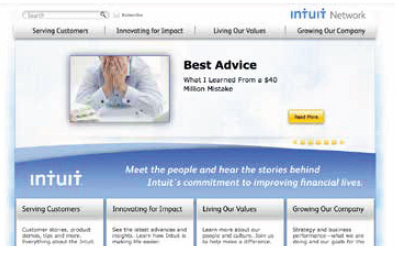 Intuit offers variety of articles and videos that are supposed to help individuals improve their financial lives. The Network is broken-up into 4 different categories: Serving Customers; Innovating for Impact; Living Our Values; and Growing Our Company. If you’re looking for some assistance on how to manage your money, then you definitely need to checkout American Express’ OPEN Forum. There are educational articles and videos, as well as, the chance to interact with other members of the community. You can ask questions or even share advice if you have it. This is a great app if you’re a upcoming freshman attending NC State University. It gives you an interactive map so that you can explore the campus prior to the first semester. Besides providing a map of the campus, the app also share stories and information about each point of interest. Lauren Luke shares makeup tips and reviews via videos that are posted onto YouTube. Known as Panacea81 on YouTube, her instructional videos have become so well-received that she has 557,902 subscribers, which in-turn have boosted her eBay sales. The Home Depot uses YouTube to create informative videos that you can use while working on projects around the house. Videos share tips on everything from how to build a picnic table, with a built-in cooler, to gardening advice. 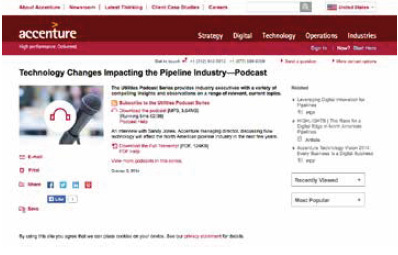 Accenture, one of the leading management consulting, technology and outsourcing services in the world, uses free Podcasts to discuss the latest tech and business related information for subscribers. Here’s a great example of how a brand not only embraces, but also uses, a social media platform to showcase its products. 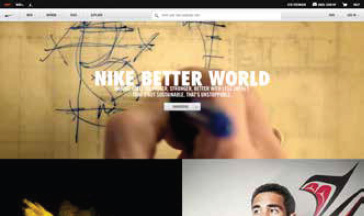 Adidas is able to highlight its latest products through a slick and easy-to-navigate Tumblr blog. Visitors can also easily share the images with their friends on other social media platforms as well. You’re used to seeing launch ads, but how many “unlaunch” ads do you see? That’s what VW did when the last Volkswagen Bus was manufactured at the end of 2013. A very cool, and fun, send off to one of the most iconic vehicles of all-time. This is a pretty neat mobile app that gives tea lovers the opportunity to select their favorite tea and then learn how to properly brew it. There’s a tea timer and tea blending tool so that you can mix your favorite flavors together. A great app when shopping at this tea shop. To help men remove those bulky wallets, Bellroy developed a clever landing page that compares the thickness of a tradition wallet. This is done through a slider that illustrates how thick a wallet can get as more credit cards and cash are added to it. These tips on slimming down a wallet take you to a nice landing page for a purchase. 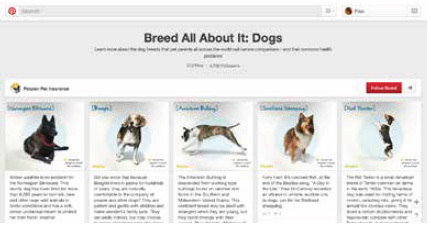 Petplan used the visually rich platform of Pinterest to its advantage by providing a dog lovers guide that shares images, information and common health problems of dog breeds from all over the world.